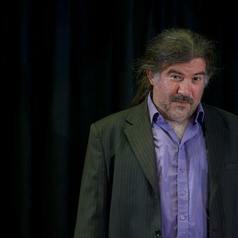 Dr Rob Pensalfini’s research interests include theoretical phonology, morphology and syntax; Australian languages; lexicography; language endangerment and maintenance; architecture of the language faculty, language in education; sociolinguistics; and actor training, the use of the human voice in (theatrical) performance. A Grammar of Jingulu: an aboriginal language of the Northern Territory. Canberra: Pacific Linguistics, 2003. Articles on syntax, morphophonology and phonology of Australian languages, ethnography, and language maintenance. Editor of: two volumes of MIT Working Papers in Linguistics. His other interests include: Co-artistic director, Queensland Shakespeare Ensemble. Actor training, voice training - faculty member, Shakespeare & Company, USA.